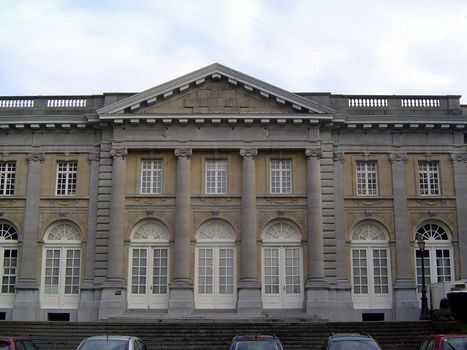 In 1904, the Congo Museum opened at Tervuren, outside Brussels (and now near the Brussels airport). 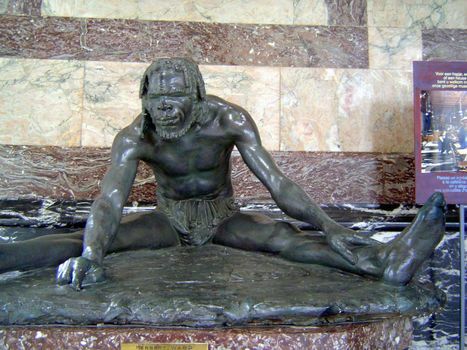 Outwardly, the displays have changed little since then, but visitors were once expected to see colonialism as a source of Belgian pride; now, they are expected to see it as a crime disguised as progress. 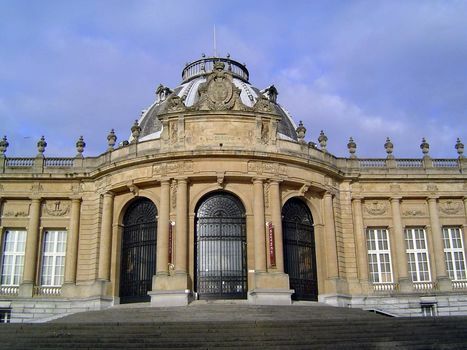 The museum began with the Brussels World Fair of 1897, which included this building, then called the Palace of the Colonies. It housed a display of artifacts from the Congo Free State, which had been created in 1885 as King Leopold's private domain. 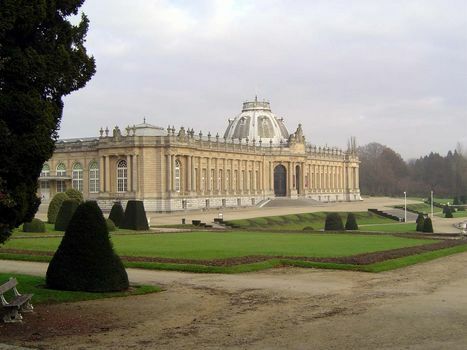 The Palace of the Colonies stood at the edge of the 500-acre Tervuren Park, once attached to a royal chateau. The chateau itself burned in 1867, and after the World's Fair Leopold decided to build a proper museum on the site of the chateau. That meant hiring a French architect, ready to imitate Versailles. 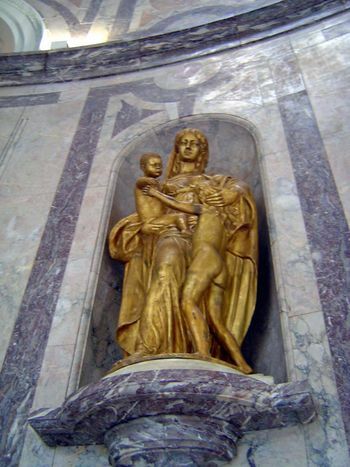 Here is the result, courtesy of that architect, Charles Girault. Not content, Leopold planned a World School and other buildings for the site, but he died in 1909, and they were never built. 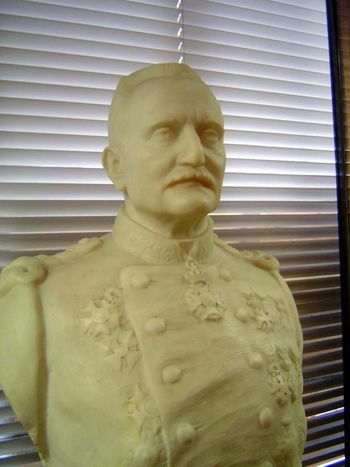 A year before his death, Leopold sold the Congo Free State to his own countrymen, which explains why Albert I opened Girault's building in 1910 as the Museum of the Belgian Congo. 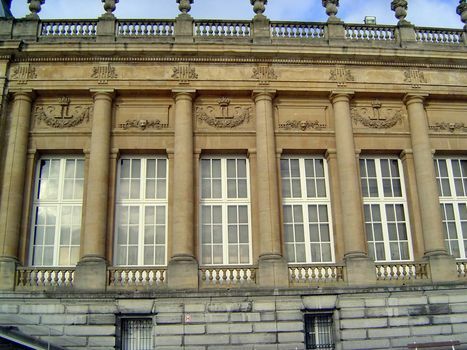 In 1960 the museum became the Royal Museum for Central Africa. Still, Leopold's doubled initial continues to ornament the building. 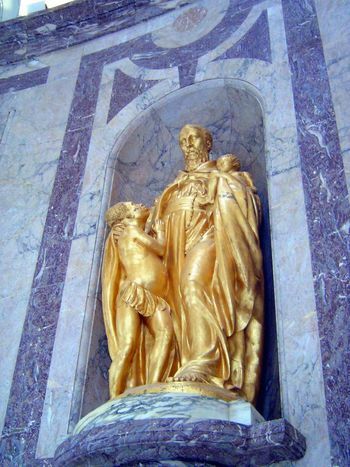 An ivory bust of Leopold used to stand in the rotunda. 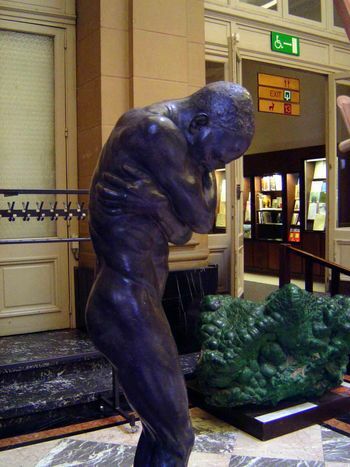 It not longer does, but this bronze lingers in a museum courtyard. 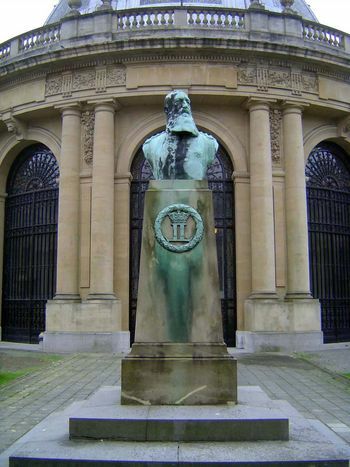 Leopold's words remain on a museum wall: "To open to civilization the only part of our globe which it has not yet penetrated--to pierce the darkness which hangs over entire peoples--is a crusade worthy of this century of progress." Even in Leopold's day, there were plenty of observers who found this rhetoric loathsome hypocrisy. 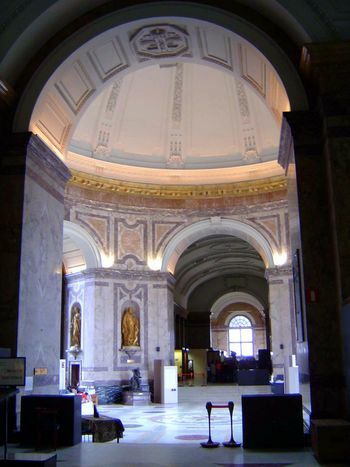 The rotunda, flanked with statuary. 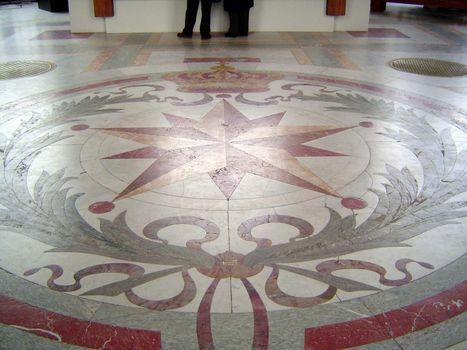 On the rotunda floor are the star and crown that formed the emblem of the Congo Free State. 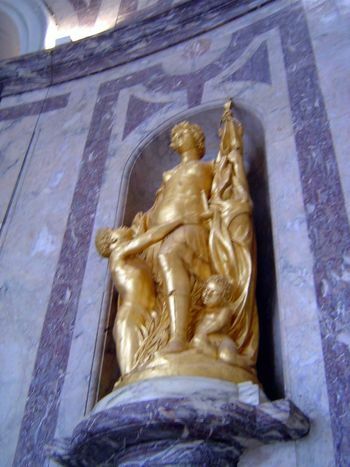 The most prominent statues are a set of four gilded bronzes by Arsene Matton (1873-1953), who visited the Congo twice in the course of preparing them. This group is called "Belgium Bringing Prosperity to the Congo." This is "Belgium Bringing Security to the Congo." 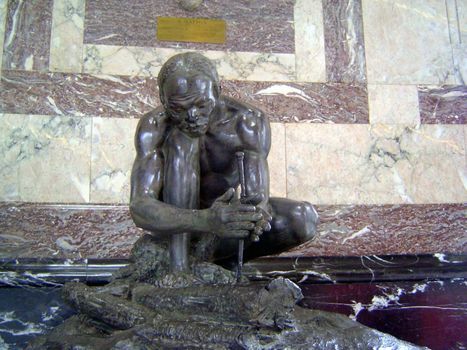 This is "Belgium Bringing Civilization to the Congo." 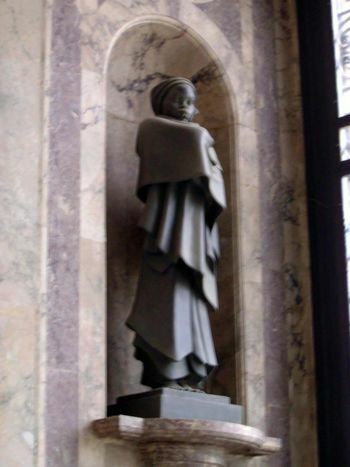 The museum's published guide states that these sculptures "are distinctly paternalistic and suggest an enormous distance between the European and African 'races.'" Visitors a century ago would have agreed but would have found no fault with the Belgians. "Slavery." In this piece, European outrage mingles with and perhaps succumbs to prurience. 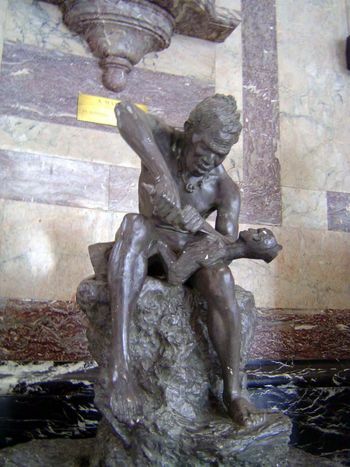 Arabs are shown repeatedly in the museum--and always in a sadistic light. 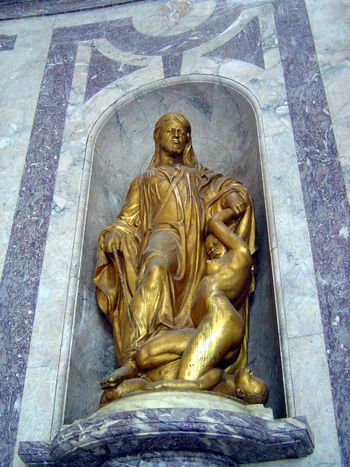 Also in the rotunda, a piece by Arthur Dupagne (1895-1961). Dupagne himself never visited the Congo. Another piece by Dupagne: "Dry Season." 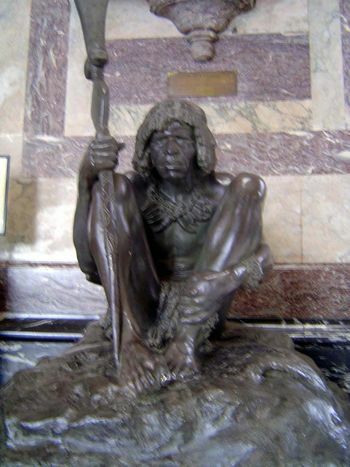 The floor of the rotunda contains plaster casts of four bronzes executed by the Englishman Herbert Ward (1863-1919), who accompanied Henry Morton Stanley on his expedition of 1887-9 and who later wrote many books and articles on Africa, including Five Years with the Congo Cannibals (1890). This piece is "The Artist." "A Congo Chief." Three of these pieces are illustrated in Ward's A Voice from the Congo (1910), which he compiled from articles published earlier in Scribner's Magazine. 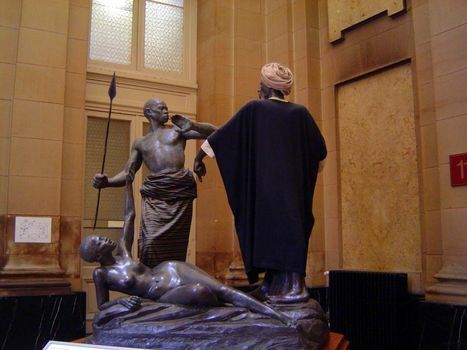 Another portrayal of slavery, this time by Charles Samuel (1882-1935): the native protects his wife against the slave-raider. The wife herself seems remarkably unconcerned. 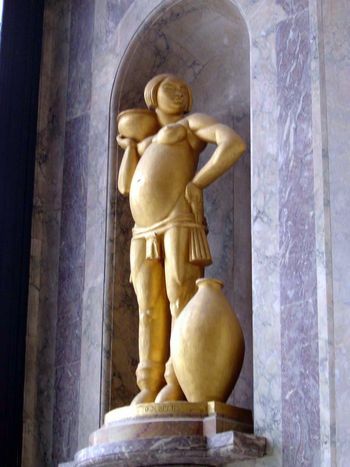 The Belgians portrayed themselves in the museum, too. This is Albert Thys (1849-1915), who also participated in Stanley's later expeditions but stayed on as a businessman, founding the Congo Company for Trade and Industry in 1886 and serving for nine years as the administrator of the Company of Katanga. Thys also recommended construction of the Matadi-Leopoldville railroad, which was completed in 1898. South of Leopoldville, a railway maintenance center (now Mbanza-Ngungu) was named Thysville in his honor. 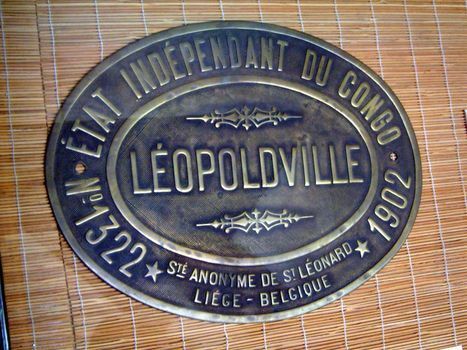 Locomotive builder's plate for the engine "Leopoldville."